There is an old 1.) saying, 2.) "An apple a day keeps the doctor away"
enjoying apple cider since 55B.C. when the Romans arrived in England and saw that the local people were drinking this 5.) beverage. So, what´s so special about apple cider? Apple cider is made from fermenting apple juice. It is a natural and a 6.) healthy drink without any additives or chemicals. It´s 7.) made up of 75 to 85% water and sugar. Cider contains vitamins C, B2, A, and D which is important for everyone. Cider has an alcohol content between 4 to 6 degrees. If one drinks it moderatly, it increases vitality and a 8.) feeling of happiness. When cider is rich in 9.) tannin, its effect is astringent and 10.) therefore recommended in cases of diarrhea. It´s also good for rheumatism, obesity, hipertension and can reduce cholesterol 11.) due to its diuretic effects. Moderate drinking can also protect one´s cardiovascular sysetm, 12.) such as arteriosclerosis and can also prevent 13.) kindey stones. There are studies in England and the USA which 14.) state that there are 15.) 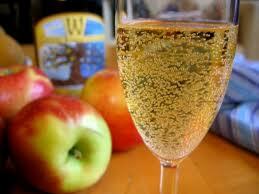 less deaths of heart attacks in moderate drinkers of apple cider due to its high 16.) pectin content. This 17.) compound is considered to be one of nature´s best medicine. Pectin is good in the treatment of digestive disorders. It is rich in fiber and can be used to regulate 18.) bowel movements. It can also help people suffering from 19.) bad breath by regulating stomach fluids. 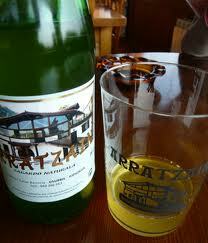 In Spain, the best natural apple ciders are made in Asturias and in The Basque country in northern Spain. 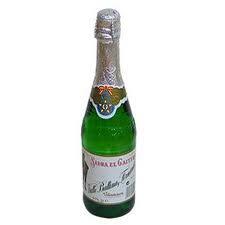 In the USA, fermented alcoholic apple juice is called "hard cider"; 20.) 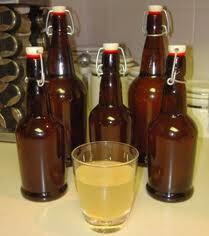 while freshly pressed non-alcoholic cider is called sweet cider. Drinking hot apple cider is also delicious. You 21.) heat it to a temperature 22.) just below boiling, 23.) adding cinnamon, orange 24.) peel, 25.) nutmeg and 26.) cloves. To really enjoy drinking cider, one needs to travel to Austurias or the Basque country and visit the local taverns eating the local "tapas"(small dishes of a variety of food) and drinking "Sidra" (apple cider). You will see that serving the cider is done in a very special way. Cider 27.) should be 28.) poured into a glass from a 29.) height of about three feet 30.) so as to enhance the natural qualities of this natural beverage. 31.) 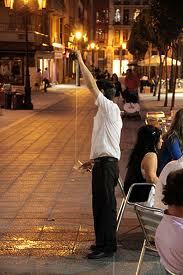 Of course, I wouldn´t recommend pouring the cider 32.) this way at home, or you´ll 33.) make a big mess. 7. Made up = compuesta. 98.) EL USO DE "EVER Y NEVER"